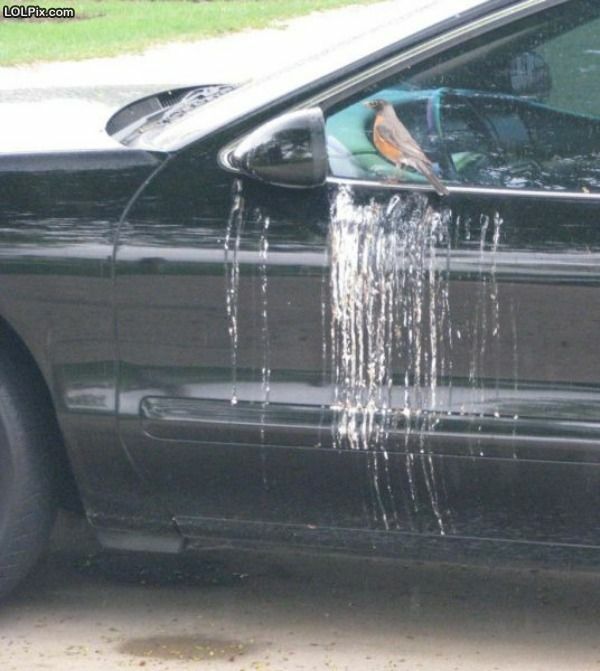 This is a sad fact…I am not a fan of birds. Spring is the time to confess as birds seem to be everywhere now that the temperatures are warmer. It’s not that I hate birds…it’s more the fact that they scare me to death. This is not a new fear. I have been scared to death of birds since I was a little boy. If I can sit and watch them parade around by looking through a window, than I am fine. If you remove the window and I see one, I go cold. God forbid that a bird flies at or near me. I involuntarily scream, sweat, run and have even been known to cry. In fact, I remember my first bad experience with a bird. Mrs. Curtain lived behind one of our first houses in Iowa. At the time we moved there, I was 3 and she had to be at least 83. I have to be honest. Women at 83 in those days did not look that great. We say today that 60 is the new 40 for a woman. That was not the case in the ’60s. 83 looked 83 or older. Mrs. Curtain wore long dresses, had unkempt gray hair, wore black horn-rimmed glasses and not a stitch of makeup covered her face (not at 83 and probably ever). To this day, here is how I remember her. However, the strange part is that I was attracted to her. She didn’t scare me. She was my friend. Mrs Curtain was a widow, her children had moved away ages ago and she did what a woman of her age did in those days in a small farming town in Iowa. She lived in a small house, tended to a large garden of flowers and vegetables and kept chickens in her fenced-in back yard. Who came over every day to bother help her? Yes, it was me. I would watch her garden, watch her mow, watch her do laundry, watch her do most anything. However, I was not allowed to help with the chickens. She repeatedly told me that they were off-limits because I was too young to be around them inside their fence. So I sort of obeyed her command. That means that I would not go inside the fence but I would make sure that I found various ways to make the chickens crazy. I would yell at them, throw rocks at them, poke them with sticks. Anything to taunt them because they were off-limits to me. One day, they had had enough. A rooster broke loose and came at me. 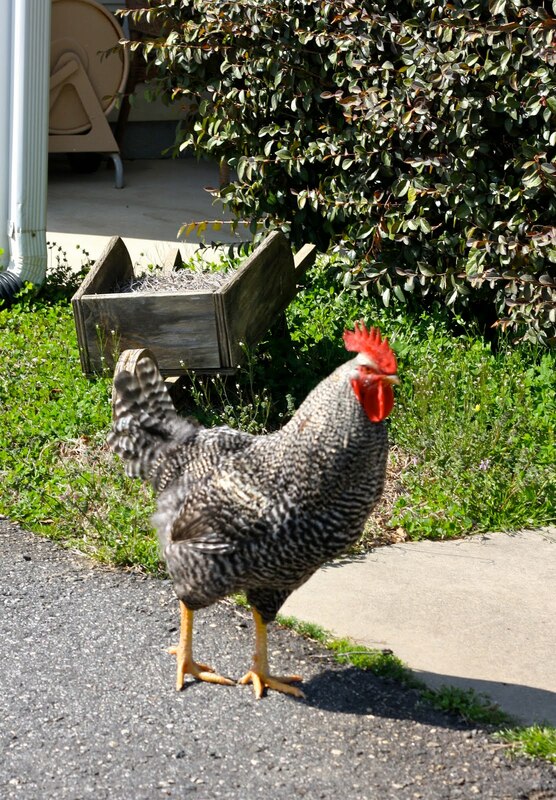 There were claws, feathers, clucking, screaming and then the rooster laid a hard, sharp peck with its beak on my forehead before Mrs. Curtain came to the rescue. I have never enjoyed a bird since that day. I have done well in my life staying away from birds. I’ve lived most of my life in the concrete jungle. I have warned friends with free flying birds in their homes to lock them up or risk harm to them (I wouldn’t kill a bird, but if a parrot flew at me, I’m not sure what I would do in my panic). Any event that I am at where there are also birds means that I either leave or sit in a secure, inside area. All this changed when I moved to Glen Road. Here in the country, birds are everywhere. They literally are your neighbors. I can tell you who lives in what nest. I can tell you which birds are meaner than others. I have even been able to shyly look at a few birds without running (remember the cardinals). However, I would like to give them a few pieces of advice so that I can expand my love even further. Do not begin to sing until 10:30 AM and cease your songs at 8 PM. 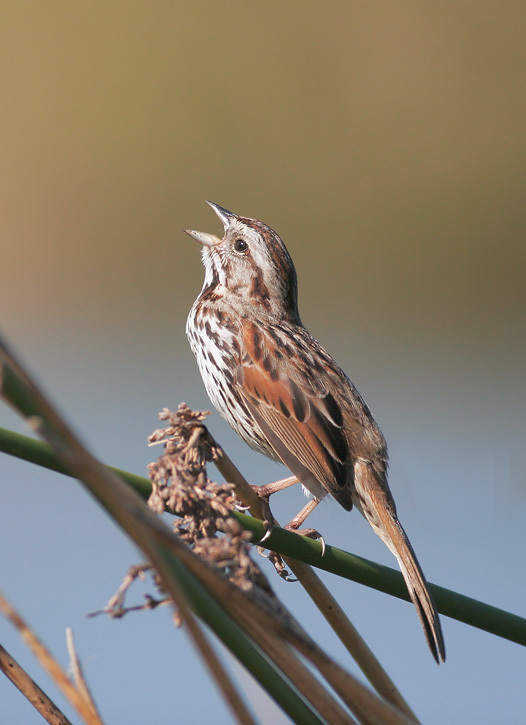 Oh, and all birds must sing the same song….just in different harmonies so they can distinguish themselves between species. Cardinals can be like the sopranos, blue jays the baritones and sparrows the altos. You see, at 5:30 AM, your loud and non-coordinated singing is just annoying. You wake me up and it is not a pretty sound. Get an alarm clock and a chorale director and let me sleep. Get a pair of sensible shoes. Your claws are sickening. There isn’t a pedicure invented that will make your claws look better, so cover them up. If you can find stockings, buy them and put them on as well. There is just something about seeing a bird claw that makes me shudder. Is it the scaly part? The long toenails? The way it moves? Whatever it is, cover them up and don’t show them. Admit they’re ugly and you are embarrassed by them and put some shoes and socks on them. You’ll be a step ahead. Install a toilet in your nests. I don’t want to see it, clean it or worry about it. More than this, I don’t want to feel it on me…EVER. Get some class and install a little toilet to do your business. You’ll get more dates. Enough said on this one. I’ll try to like birds better this year. I’m taking little steps though. 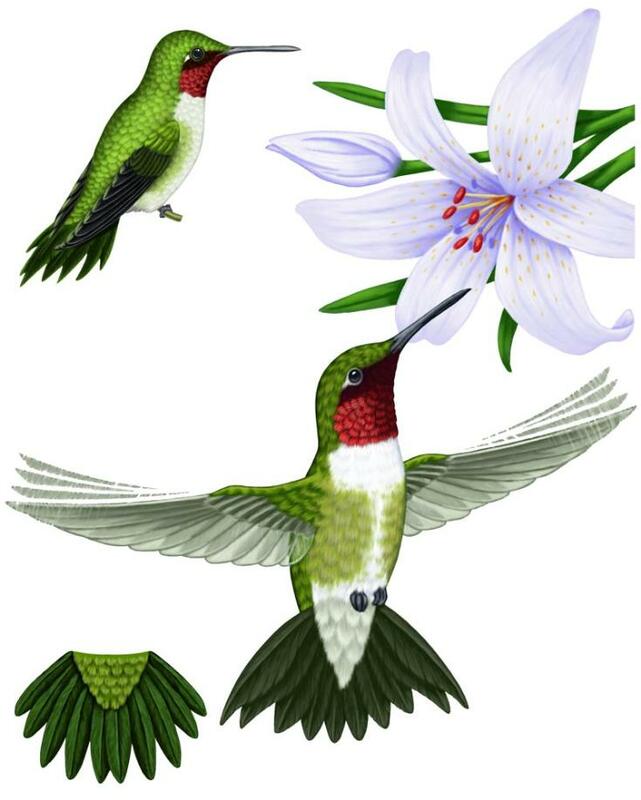 I would like a hummingbird to come live on Glen Road. That’s a good step forward, right? Honestly, I am scared about the long beak thing. Has anyone ever heard of someone losing an eye because they got too close to a hummingbird? This entry was posted in Nature and tagged Acorns, Beauty, Blog, Fun, Humor, Life, Love, My Life, Nature, Photos, Spring. Bookmark the permalink. ← What’s Blooming On Glen Road? I have a squirrel in my attic and it’s mating season for the frogs in the creek behind my house. Birds don’t bug me. Of course we have dogs that don’t let them in the yard for long. And we have hummingbirds and the coolest dragon flies. Is that last picture your car? If so birds really don’t like you either. Hi Rufus’. Thanks for the comment. I am lucky as that is not my car, but just a great illustration of my point. For me, there are not many critters that I admire. Dogs are good, but after that, the list gets very small. If I had a squirrel in my attic, I might need to move. Good luck with that. Come back and visit soon. They do that to my car. Really uncool. Not a good thing. Sounds like I have a friend in my “no birds” campaign. Come back and visit soon at Acorns On Glen.